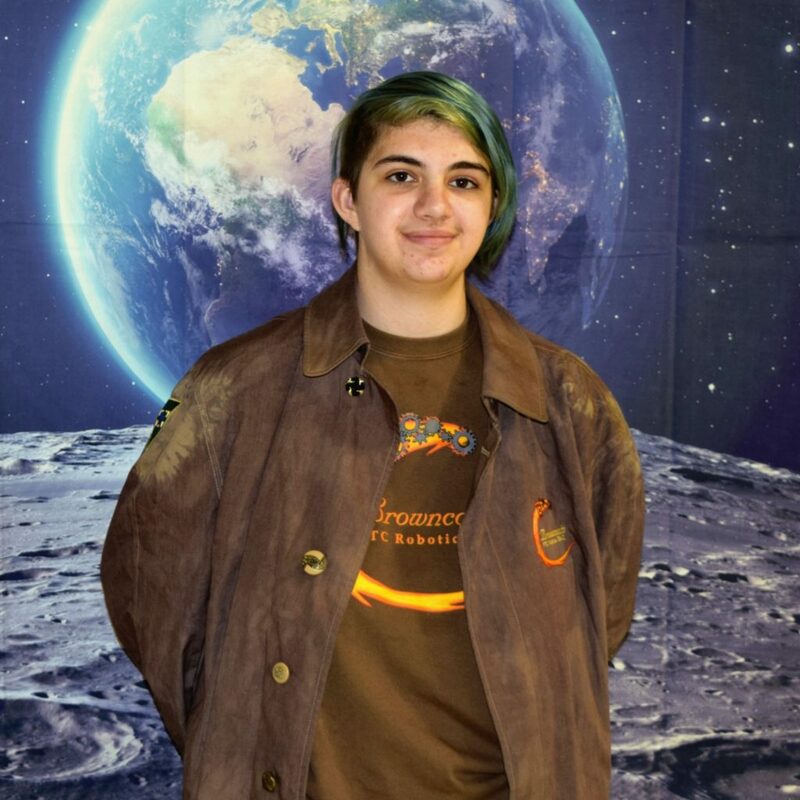 I’m in 11th grade, and this is my 3rd year with FIRST Tech Challenge (FTC) and the Browncoats. I do software and CAD on the Browncoats. I’m willing to learn any skill to help the team. FTC has helped me pursue my interests and has exposed me to new skills I never thought I’d need or enjoy. FTC has also helped me express my ideas more clearly, and communicate more easily with others. I love physics, astronomy, video games, coding, reading, and PC building in my free time. I’m in 11th grade, and I have been homeschooled since pre-school. Robotics never really interested me that much until I went with my brother to one of his competitions and realized just how great it is. Now I can’t stop thinking about it! I love doing anything I can to help out the team with everything they need. My main interests are building, social media, editing videos, and the engineering notebook. I’m a published author and love writing in my free time, along with reading, playing video games, listening to music, and acting. My name is Brooklyn. I’m an 8th grader at Buckhorn Middle School. 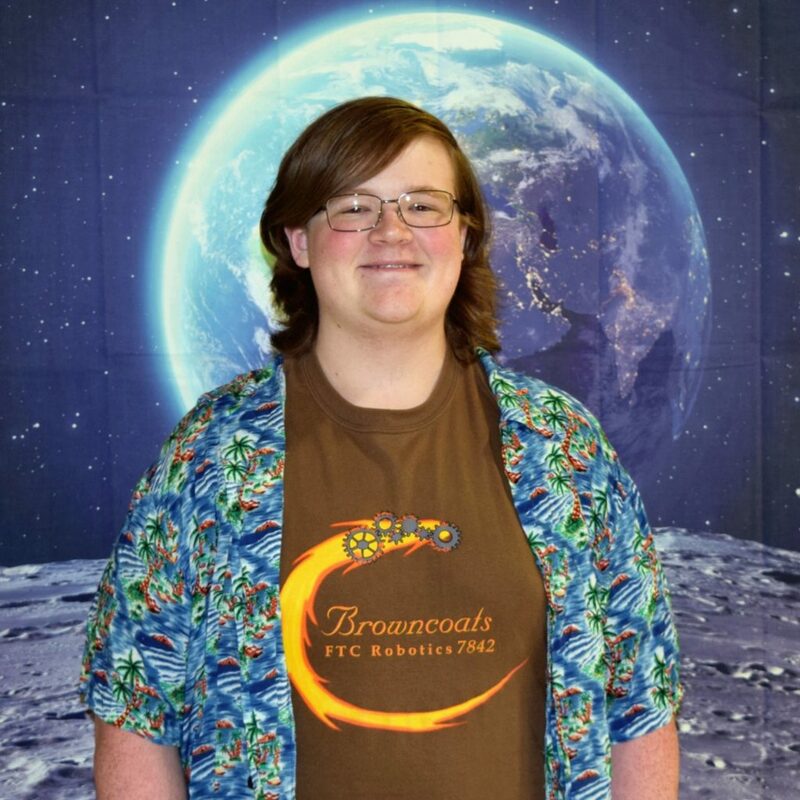 This is my second year with FIRST Tech challenge and the Browncoats. 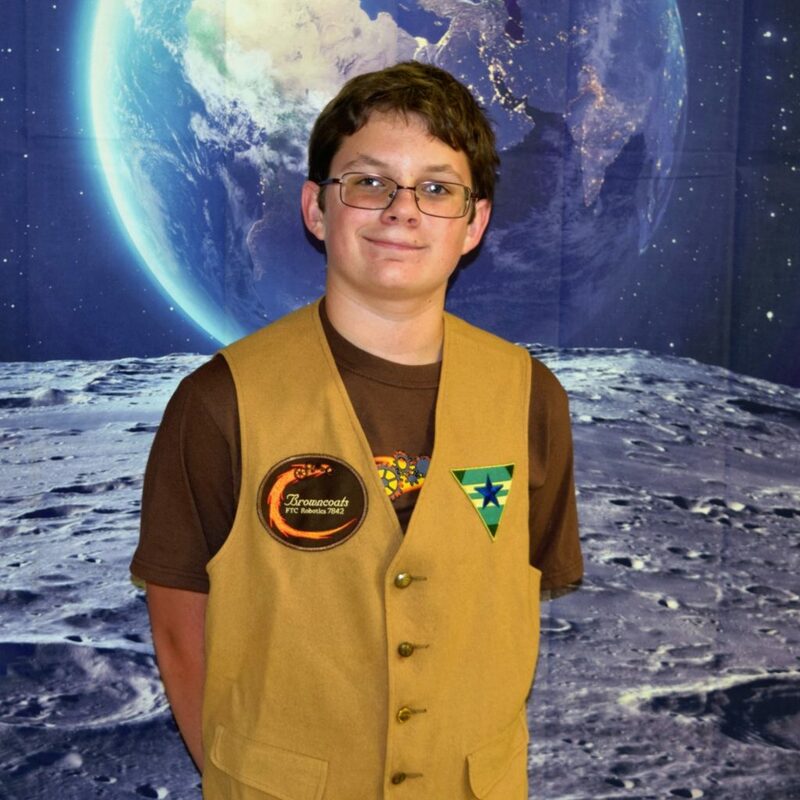 I was on a FIRST Lego League team for 2 years before I joined the Browncoats. If you want to know who I am, I’m that quiet person who lurks in the shadows and can only be seen when wanted to be seen. 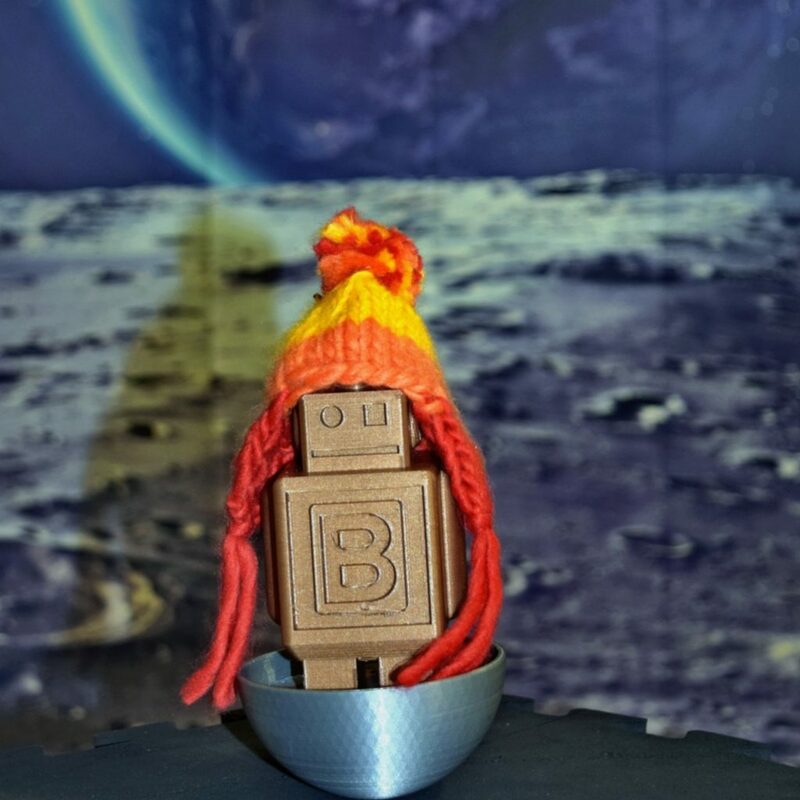 I like to do robotics, read books, draw, and … read more books. 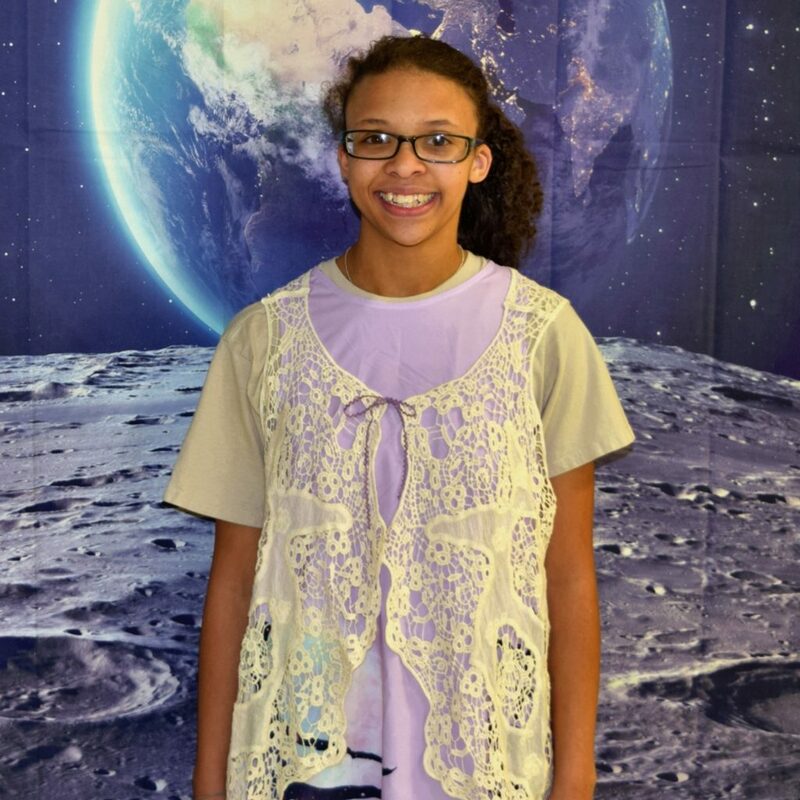 My name is Jalynn, and I’m a homeschooled sophomore. I did FIRST Lego League in fifth grade and instantly fell in love with robotics, but scheduling problems prevented me from joining another team until now. 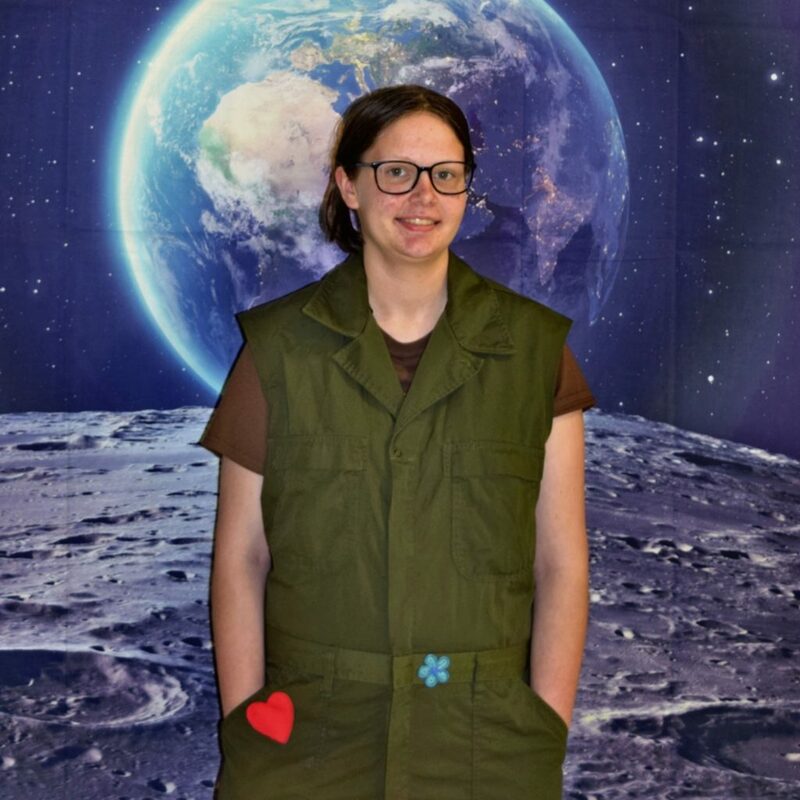 I am willing to help in any area needed on the Browncoats. I’m interested in Engineering Notebook, building, and possibly programming. During my free time I like reading, writing, listening to music, and talking (or hanging out) with my friends. Hi, I’m Kye. This is my first year on a robotics team. I love drawing or reading in my free time. I am homeschooled, and I am currently in the 12th grade. I thought robotics looked fun, so I decided to join a robotics team. I hope I can help the team in any way I can. grade, and I like to build and try to make people laugh (even with dumb jokes.) I like to do math (if it is not a word problem.) I was previously on robotics team 13808 The Time Travelers. I am a builder on this team and I am enjoying it. Hello! 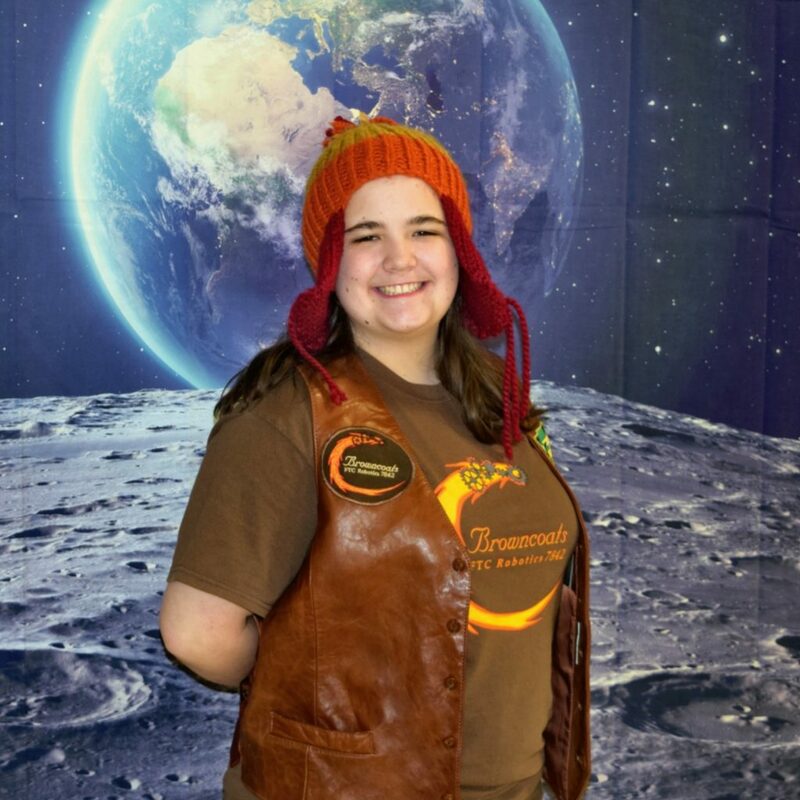 My name is Jayne Weeble, and I am the team marker and mascot for FTC 7842 Browncoats! This is my first year with the team, as I was only born a couple of days before writing this. Even so, I love to help out the team with anything I can! I’m always there to give them a thumbs up when they need boosting–even if I don’t have any thumbs–and I’m always around for when they need me!